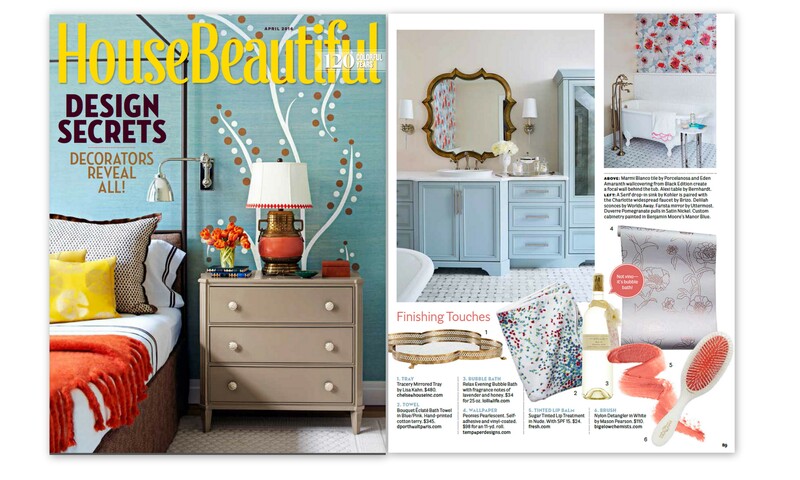 Congratulations to our Client Tempaper for their feature in House Beautiful Magazine! Tempaper removable wallpaper is self-adhesive allowing it to be applied and removed easier than traditional wallpaper. It is the perfect solution for high-impact decorating without a long-term commitment. Peonies PEARLESCENT Tempaper, featured in House Beautiful, features blush metallic flowers with a powder bluish grey background. Check out the Tempaper collection at tempaperdesigns.com!